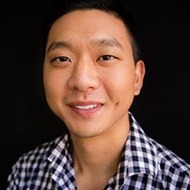 I recently had a chance to talk with Eddie Lee, who is VP of Programmatic at 495 Communications, which combines original travel-related video and programmatic video advertising. Eddie brought me up to speed on the company and their recently launched 495 QeX product. Following is a transcript. VideoNuze: Explain the multiple parts of 495 Communications' business and how they work together? Eddie Lee: 495 Communications has two subsets on the supply side: one being a large publisher-direct network and the other side being our O&O content, HTML5 player (SavvyGo), and Travelsavvy.tv - true cross device inventory (desktop, mobile and CTV/OTT apps). Using our own proprietary RTB exchange, we are able to service advertisers and demand partners by providing them quality traffic, in scale. VideoNuze: What’s your role at the company? Eddie Lee: My role at 495 Communications is to generate new business relationships, whether it be on the demand side or the supply side. We’re currently experiencing high growth in several areas, but the main ones now are the addition of high profile, Comscore ranked publishers into our supply mix and the growth of our RTB marketplace. VideoNuze: Last May, the company introduced 495 QeX. Explain what it is and how it’s differentiated? Eddie Lee: The 495 QeX is an acronym for Quality Exchange. We’re servicing the demand side and sell side by providing a layer of authenticity and protection with quality control of publishers upon onboarding, as well as, several integrations with highly touted 3rd party verification companies. VideoNuze: You’ve already integrated over 20 DSPs with QeX. What’s next? Eddie Lee: The most predictable answer would be to grow that number to be 200 DSPs by next year. However, we are striving to achieve quality in the marketplace and not work with ‘bidders’ that will just be arbitraging the media to their waterfall of non-guaranteed demand partners. We are already working with a large number of DSPs that service agencies, brands, and trading desks, and that will continue to be our focus moving forward. 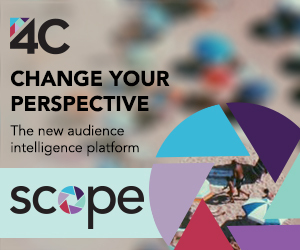 VideoNuze: What are the most important trends in online video advertising and how is 495 Communications trying to capitalize on them? Eddie Lee: The most important trends are viewability and inventory quality. We’re providing advertisers a way to buy digital video efficiently by giving them direct access to real publishers, multiple layers of scoring, and also the keys to exclusive inventory that is currently distributed by our own HTML5 player. VideoNuze: What’s the biggest challenge the industry still needs to overcome? Eddie Lee: With sophisticated innovation from the major 3rd party verification companies, online fraud seems to be less of an issue now. The biggest challenge now is the scarcity of quality video inventory. With the evolution of different video ad units like outstream and the increased number of options to distribute one’s video content on, the video industry looks poised to significantly increase the supply of high quality video inventory that marketers can use to reach their target audiences.